I decided that since I finished one project I should start a new one. 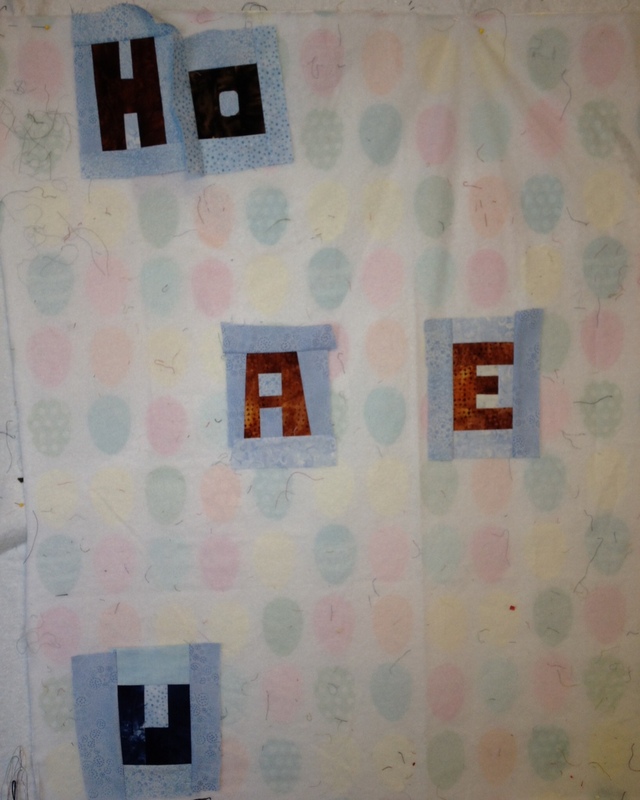 I attend a quilting class on Friday mornings and our project a couple of months ago was to make a word quilt. But I couldn’t decide on what I wanted my word quilt to say until today. So here it is in it’s beginning stages. I have five letters done and in the postion where they will be. If you like Wheel of Fortune this is your opportunity to play along with me. I’ll be Vanna and you give me the next letter. I’ll tell you if you’re right or wrong. The winner will get a word postcard mailed from me to you. How about a “P” for pretty Kay!